Bailey Street are a four-piece indie-rock, pop and blues band that have been performing together for the last 3 years. 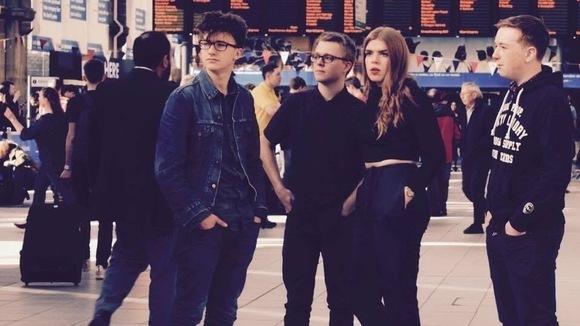 Although a young band (they range from 15 to 17years old) they have a great maturity on stage and are now looking to build on recent gigs at O2 Academy, Plug, The Rocking Chair, Maida Vale and Tramlines. Bailey Street feature the powerful vocals of Rosie Winton, the guitar genius of Stan Ward, the unique bass of Joe Helliwell and the award winning drumming of Sam Heeley. Although it's hard to exactly pinpoint Bailey Street’s musical influences, their writing generally stems from pop melodies combined with American/Rock style chord progressions, taking influence from artistes such as Jack White, Ryan Adams and KT Tunstall. Bailey Street clearly enjoy playing live and their fearless attitude to performing ensures their fans always have an evening to remember. Having known each other since infant school, this band has a close bond that is reflected by their tightness when they perform, whether on stage or in the studio. The band have enjoyed developing their own sound and material particularly over the last year and recently were delighted to have their track “New World Calling” played on BBC Introducing.